Because history is predominantly told from a male perspective, many of the historical texts are male-dominated. However, this lack of representation does not negate the powerful influence women have had on humanity throughout history. Poetry by females gives a unique lens for examining history through women’s voices and perspectives. Women saw the events around them, and they felt the impact of the decisions made by those in power. At times, they had influence over the men in their lives. Reading poetry by female authors can give students new insight into historical events. 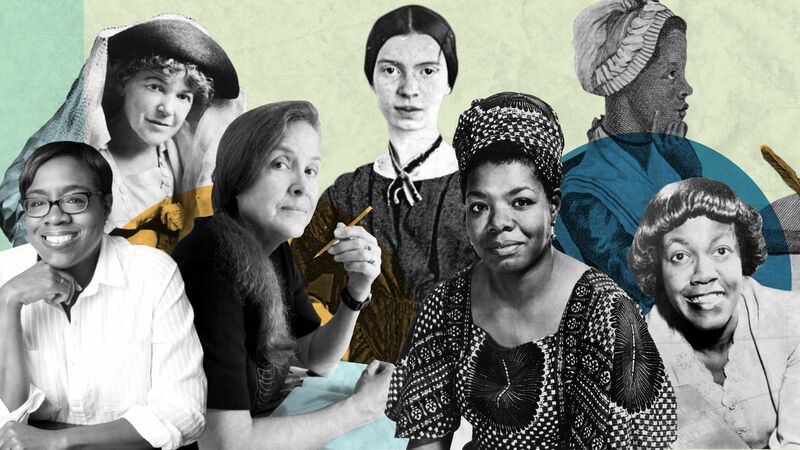 In order to fully understand the poetry written by these female authors, it is important to understand who the female poets were as well as the constraints placed on them because of their gender during the time periods in which they wrote. Giving students some historical background before exploring a poem will provide a foundation for understanding. For example, the poem “A Message” by Elizabeth Stuart Phelps Ward tells the story of the Civil War Battle of Malvern Hill from a woman’s perspective. Ward was an early feminist who used writing to share ideas about reform and to challenge traditional roles of women during her time. The poem would be best used after students had some background knowledge of the Civil War and the daily life of women during this time. Look for sources outside the text of the poem. In the case of “A Message,” for example, the American Battlefield Trust website provides historical information and details about the Battle of Malvern Hill. An estimated 7,700 people died before the Union won the battle. “A Message” addresses the human cost of war and the feelings of those in battle as well as those waiting at home for their loved ones. How does this poem make you feel? How do you think the author felt when writing the poem? Do you think the author’s gender impacted her perspective of this historical event or time period? How? Can you personally connect to the poem? How? Does this poem remind you of anything you know about history or the world today? What stanza stands out to you the most? Why? What historical facts helped you to better understand the poem? What can you learn about history from this poem? How is the perspective of this poem different from the factual information you read? Message from those distant hours. Wishing they’d been better men? Then students could discuss how women were removed from the battlefield and had to wonder about what happened there. They are left questioning what the men felt, thought, and did at war, especially as they faced death. Encouraging students to place themselves in the mindset of the author will give a deeper understanding of the poem and the historical event. Word choice is important for any writer but particularly poets. Ask students to consider what a poet’s word choice might tell them about her perspective and historical context. Point out words to students that may have a different historical context and have them research the significance of each word at the time in history it was written. In order to keep the focus on the female voice, it is also helpful to ask students to consider how word choices may have been different if the poem were written by a man during the same time period and why. When teaching “A Message,” for example, a discussion might center on the title of the poem. What is the message, and why did the author choose that title? When teachers incorporate poetry written by women, they are acknowledging those who are often ignored in history books and are seldom the authors of primary source documents used in history courses. Reading poems in connection with history gives students a deeper understanding of the female perspective and the impact women have had throughout history.